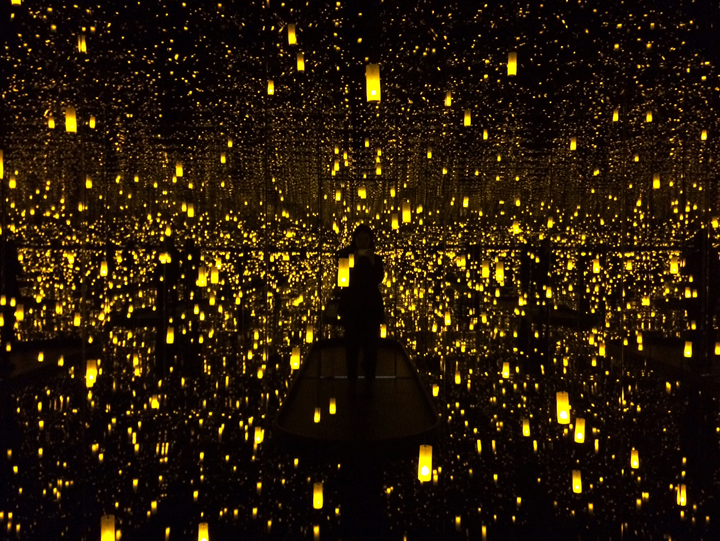 Yayoi Kusama: Infinity Mirrors, on view at Smithsonian’s Hirshhorn Museum and Sculpture Garden, dominated art news headlines this week. Featuring 70 years of the iconic Japanese artist’s work, the Infinity Rooms “delight as much as they disorient,” writes Hyperallergic. The museum also created a virtual reality simulation of the exhibition to make it accessible to all visitors. The Huffington Post calls the exhibition “majestic” and describes Kusama as “an artist whose grasp of the world is profoundly prophetic.” Juxtapoz interviews Hirshhorn Assistant Curator Mika Yoshitake. The Washington Post publishes an interview with Kusama and ARTnews shares a 1959 review from the artist’s first New York solo show. The Huffington Post features black women artists whose contributions to art history have been overlooked. Artsy includes Border Crossing artist Jami Porter Lara in their list of 20 artists who are shaping the future of ceramics. 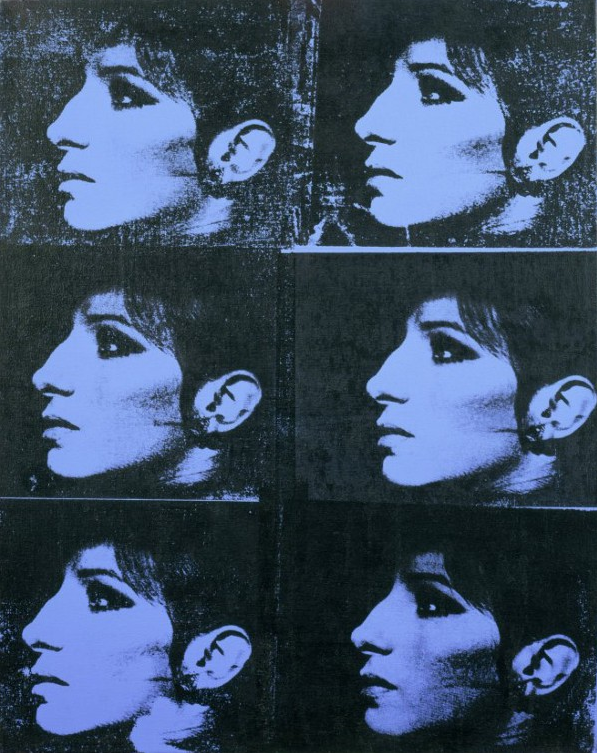 Deborah Kass discusses her accomplishments and the importance of representing Jewish culture in the art world. Zoë Buckman and Natalie Frank created a “painful, yet necessary” mural titled We Hold These Truths To Be Self-Evident, incorporating statements politicians have made about women. Sara Ouhaddou chronicles her journey across the U.S. in search of a symbol that is significant to both Arab and American cultures. Hyperallergic interviews curator Jamillah James about her background, recent projects, and new role as head curator at the Institute of Contemporary Art, Los Angeles. Emil Ferris’s debut graphic novel My Favorite Thing Is Monsters draws on her own childhood and on the experiences of Holocaust survivors. Naima J. Keith was awarded the David C. Driskell Prize for her major contribution to African American art history. Painter Beverly Fishman’s abstract works address technology and the pharmaceutical industry. NPR interviews Argentine writer Mariana Enriquez about her new collection of stories, Things We Lost in the Fire. 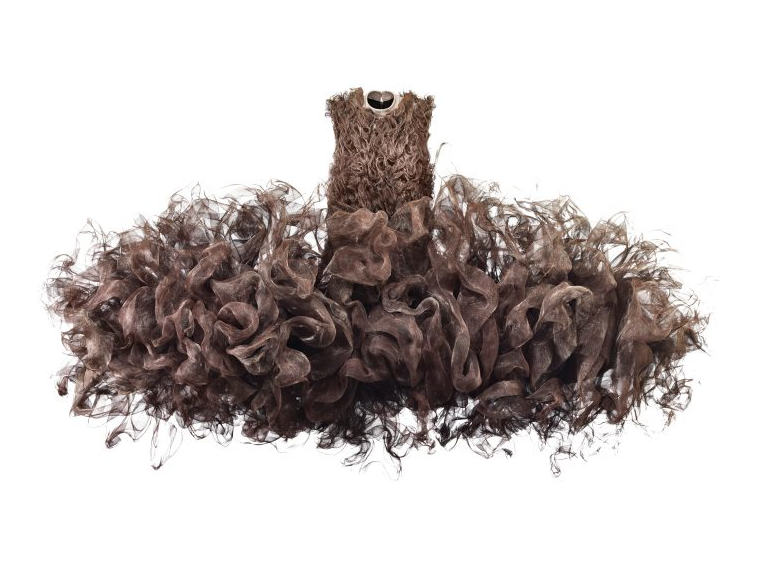 Women in the World reports that the number of women film protagonists reached an all-time high in 2016.
artnet highlights Dutch designer Iris van Herpen’s 2008 dress Refinery Smoke, on view in her solo exhibition at the Carnegie Museum of Art. Senga Nengudi: Improvisational Gestures, on view at the Contemporary Arts Center New Orleans, displays sculptures made of everyday materials—such as pantyhose and sand—that are stretched and twisted to occupy space. Five decades’ worth of Alice Neel’s paintings and drawings of people of color are on view in an exhibition at David Zwirner gallery. Paste spotlights three of the nine Australian Aboriginal women artists whose works are featured in Marking the Infinite.